I’m back! New ideas for the blog! Like the title of this post already says; I’m back! Back from vacation, but also back on my blog! The last post is from 6 weeks ago. After that I went to Bali for a month, which I will definitely be posting about here! And when I got back home, I wanted to take the time to think about my blog’s concent, and where I want it to go. Lately I’ve mostly been posting outfit posts. Next to that I’m also very active on Instagram (@RetroSonja), on which I post 5 times a week, and where I also show a lot of my outfits. I’ve been noticing for a while that everything was kind of shifting from blogs to Instagram. So I kind of got the feeling that I was doing everything double. 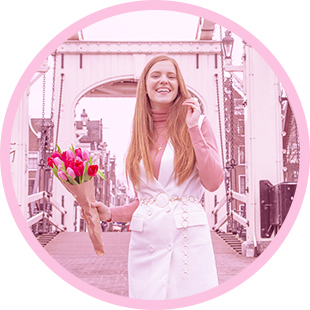 I certainly want to keep posting outfits on my blog, because I love doing that, and because you can show more details of an outfit in a blog post than on Instagram, and there’s more space to tell a story about the outfit. But I want to write more different posts, also about subjects that you might not post about on Instagram, and which are better suitable for a blog. The idea is that I’m going to divide my blog into a couple of categories. So you can exepct posts about all of those subjects. Next to fashion, I also love (vegetarian/vegan) cooking, interior, travel (hello Bali! ), lifestyle, and even beauty every once and a while. In the category fashion itself there are already so many options to write blog posts, next to outfit posts. And I want to pick up YouTube again! My last video is from my summer vacation from last year, and the first upcoming video you will be seeing is going to be about my summer vacation to Bali this year, haha! So what can you expect from now on? In total there will be 5 categories of blog posts: Fashion, Food, Travel, Interior and Lifestyle. In the category Fashion you can continue to expect outfit posts, but also How I Style videos (any requests? ), lookbook videos per season, trend reports, photo results of my styling assignments, interviews with other bloggers about their style, posts about vegan fashion (leather free shoes, bags, etc.) and so much more! The category Food will be the second largest category on my blog. In this category I will be posting mostly (vegetarian and vegan) recipes. But also lists of my favorite recipes in a certain category (quick, budget, vegetarian, vegan, etc.) in which I will post the links to all the recipes, food diaries and veggie hotspots. In the category Travel I will mostly be posting travel diaries when I recently went on a trip. But it could also be a combination of food and travel with restaurant/hotspot tips for a specific destination. For Interior I want to share photos of our interior, but also post updates when we change things up. Interior posts could also be about ideas to upgrade your interior for a certain season, or a shopping list of where to buy the nicest items for that season. And that leaves us with the final category; Lifestyle. In this category I would for example post personal updates every once and a while. Next to that basically everything I like to post about, but which doesn’t fit in any of the other categories. I’m planning on changing up my entire layout as well, and when I do that I will also create buttons with all these 5 categories. So in case you were thinking:”Wait… I only followed you for the fashion posts.”, you will also be able to only check out everything in that category, without having to scroll through the rest. The upcoming time I will be posting 2 blog posts per week; one on Monday and one on Wednesday. And every once and a while that will be a video! I want to give every blog post the time it deserves. So I will see how that will be going with 2 posts per week, and I might start posting more later! I hope you’re enthusiastic about my new ideas. At least I’m very excited about it! In case you have any ideas of requests for blog posts or videos, I would love to hear them too! Leuk ik ben benieuwd! Ik volg! Wow onwijs mooie foto daar op Bali. Zeker veel interesse in de travel sectie.